What is snus and how do I use it? Swedish snus is a moist to semi-moist, oral tobacco product that is used behind the upper lip. There are two formats for Swedish snus, loose and portion packed. Both formats are available in different flavour varieties. Swedish snus is made from selected tobaccos, water, salt and flavourings, following recipes dating back to the 19th century. Swedish snus is pasteurized in a proprietary heat treatment process that meets the Swedish food standards. Just how Swedish snus came about is somewhat unclear. But at the beginning of the 1800s, Swedes began to grind tobacco and mix it with water, salt and flavourings such as wine or spices. The resulting product was not chewed or sniffed, but rather shaped into a small "pinch" and placed behind the upper lip. One theory behind the origins of snus is the quality of the tobacco grown in Sweden 200 years ago - combined with the economic sensitivity of tobacco users. Chewing tobacco was favoured by workers and farmers since it was relatively inexpensive and left your hands free for work. 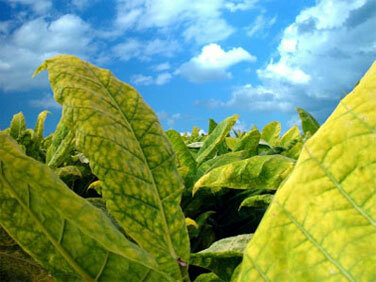 But the homegrown Swedish tobacco had a tendency to crumble when you spun it for chewing tobacco. A simple solution was to grind the tobacco to a powder, mix it with water for easier handling, add salt for keeping and flavourings for taste. As an idea, snus has not changed much since then - the principal ingredients remain tobacco, salt and water. But the technique for preparing it is altogether different. No expense is spared in finding and buying tobacco of the highest quality for making snus. For almost two centuries, snus was not very popular with the establishment. A gentleman smoked his tobacco. It was not until the late 1960s, with an increasing awareness of the dangers of smoking, that snus slowly began to be considered an acceptable alternative - and not until the early 1990s that it would become completely accepted. Now snus use is more common than cigarette smoking among Swedish men, 22% vs. 14% in 2004. Since the 1970s the sales of snus is up. Now a can of snus may be found not only in the breast pocket of a pair of overalls, but also in the inner pocket of a dinner jacket or in a purse accompanying a ball gown.